"I need to win games and get that confidence that I still lack"
Rafa: Hola Ana. I do not know, I don't know about the machine and I do not know what it treats, sincerely. 2. Juan Jesús Pedrajas Berral: Do you think you will arrive in good form to play the semifinals of the Davis Cup? How about the choice of Cordoba as the venue? Thank you very much in advance. Rafa: I hope so, the truth is that the schedule presented by the ITF is wrong and the Davis Cup, as it is today, makes little sense. However, I love to play for Spain and I will play. Albert Costa does a great job leading the team and told us that the venue is fine. 3. Javier Fernandez Berastegui: Good afternoon. I think the presence of your uncle is unquestionable, but would it not be convenient to have some new coaches who will bring new things to your game? A greeting and good luck. Rafa: No, I do not think it's necessary. The relationship with my uncle is very good and adequate. 4. Ana Toribio: Good luck and much strength to regain the U.S. Open. We are with you, as always. You commented through June on not using Twitter. What made ​​you change your mind? Do you write personally to your profile? Thank you very much. A kiss. Rafa: The truth is that it motivated me to do it and it's good. It's not very active but I like to use it to keep in touch with the fans and to say the things I truly think. 5. Ángela López: Rafa, a lot of luck for USO. Do you intend to watch live matches of Djokovic or prefer to see them on television? Thanks champ. 6. 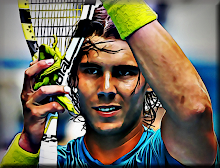 Ignacio Fiti: Dear Rafa. It is admirable what you've accomplished. Beat Federer in U.S. Open final walk. I wanted to know where you were during the hurricane, if you left the hotel where you trained. Strength and courage, we support you. Rafa: Hopefully we get to the final is with whomever. The truth is that I look at my next match. During the hurricane (storm in Manhattan rather) stayed at the hotel. 7. Letizia Martínez: Hola Rafa. Have you seen the picture of Tipsarevic gun pointing at Djokovic? He posted the picture on his Facebook and made a comment referring to yourself: "How much would nadal pay" ... How about these jokes? Are not you tired of the jokes of the Serbs? Good luck and beat Djokovic, please. Rafa: He called me and commented on it. I don't give much importance to it. 9. Ramón González: Hola Rafa. We are surprised to see you loose so soon in Montreal and Cincinnati. Have you changed something in your game for the USO? Vamoooos! Rafa: I'm training hard and not much change. I think it's important to win games and get that confidence I lack. 10. Pedro José Ginés: Good morning Rafael, what impact has a chronic injury to the sporting life of a tennis player? Thank you. Rafa: All the injuries affect the players of any kind . The important thing is to be healthy and able to compete.